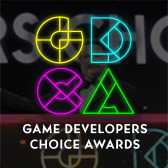 The 2018 Game Developers Conference, the world’s largest and longest-running event serving professionals dedicated to the art and science of making games, will welcome Supercell CEO Ilkka Paananen and NYU Game Center Director Frank Lantz to speak as part of the conference’s reintroduced Vision Track, a series of mini-keynotes designed to provoke and inspire GDC attendees. Paananen’s talk, titled The Cell Structure: How Supercell Turned the Traditional Org-Chart Upside Down, will focus on building a company culture that lets developers run teams independently by placing people at the heart of the company. This rare talk from the leader behind games such as Clash of Clans, Hay Day, Boom Beach and Clash Royale – which collectively have more than 100 million daily players – explains how transferring vision to individual teams has paid dividends for the company. Lantz’s talk, This is Your Brain on Games, allows the creator of cheeky ‘clicker game’ hit Universal Paperclips and long-time game designer, scholar and provocateur to discuss what it would look like for games to improve humanity’s overall ability to understand, explain and predict the world. 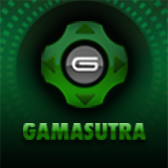 His thought-provoking talk will look at concrete examples from specific games and extrapolate to a broad vision of how games might have the capacity to increase our collective intelligence. Supercell and the NYU Game Center join Pixar’s Pol Jeremias-Vila and David G Yu, who are giving a Vision Track talk titled How Real-Time Graphics Help Pixar Make Feature Films. 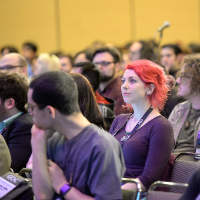 As a whole, GDC’s new Vision Track will feature opportunities to learn from companies or individuals outside of the game space who are doing amazing work that feeds back into game innovation – as well as talks from leaders in video games that will give attendees vital ideas about how to take their work forward in the next year. Vision Track talks are part of GDC 2018, taking place March 19-23 at San Francisco’s Moscone Center, and are accessible to all attendees with a GDC Conference or All Access Pass. For more information about GDC 2018 visit the show's official website, and subscribe to regular updates via Facebook, Twitter, or RSS. 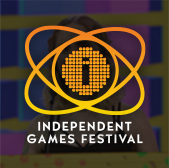 The GDC Film Festival leads the list of great interactive spaces at GDC 2018!